HOUSTON (KTRK) -- A Houston man has pleaded guilty to attempting to provide material and support to ISIL. Omar Faraj Saeed Al Hardan, 24, was arrested in January and is accused of plotting to bomb the Galleria Mall and Sharpstown Mall. The terror suspect is a Palestinian born in Iraq, but has lived in the U.S. since November 2, 2009, when he entered the country as a refugee. He is married with a son. 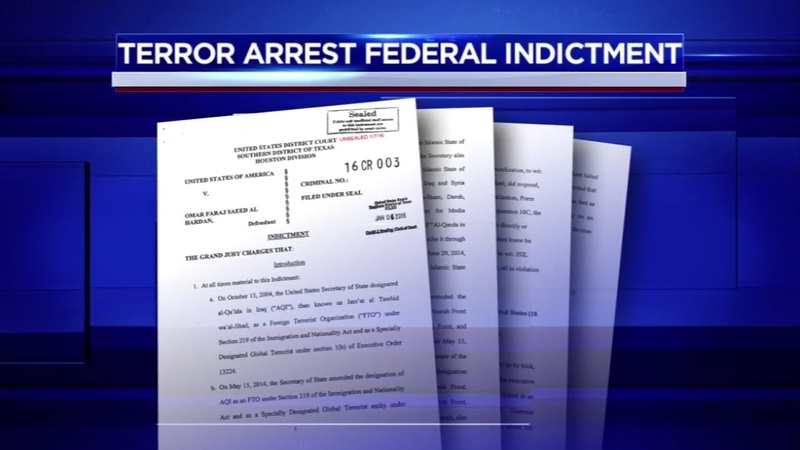 U.S. Attorney's Office working to connect Texas suspect with terror arrest in Sacramento. Al Hardan was granted status as a permanent legal resident in August 2011 but was applying for citizenship. He faces up to 20 years in federal prison. Al Hardan will remain in custody until his sentencing hearing in January 2017. Officials with the U.S. Department of Justice say they've made a "national-security related" arrest in Houston today. 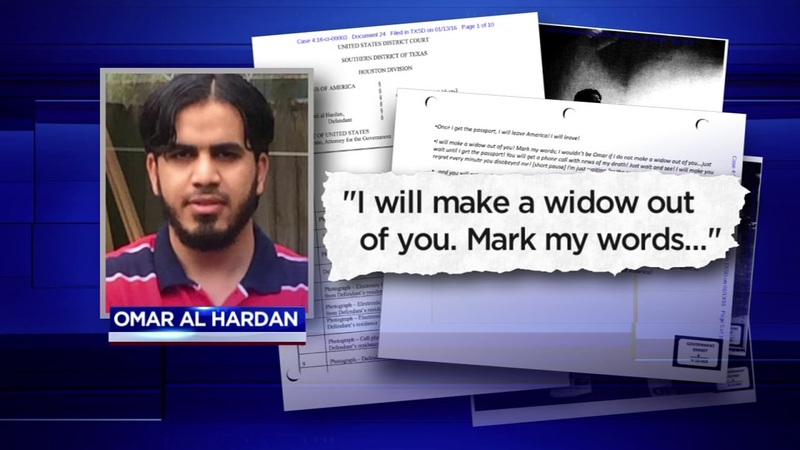 A probable cause document identifies him as 24-year-old Omar Faraj Saeed Al Hardan, a Palestinian native who came to the U.S. in 2009 as a refugee.